I stopped into Michaels for snail and couldn't pass up these beauties! I grabbed a small paper pack and wash tape tube from the Backyard Table collection. I also grabbed these two clearance planner sticker packs. 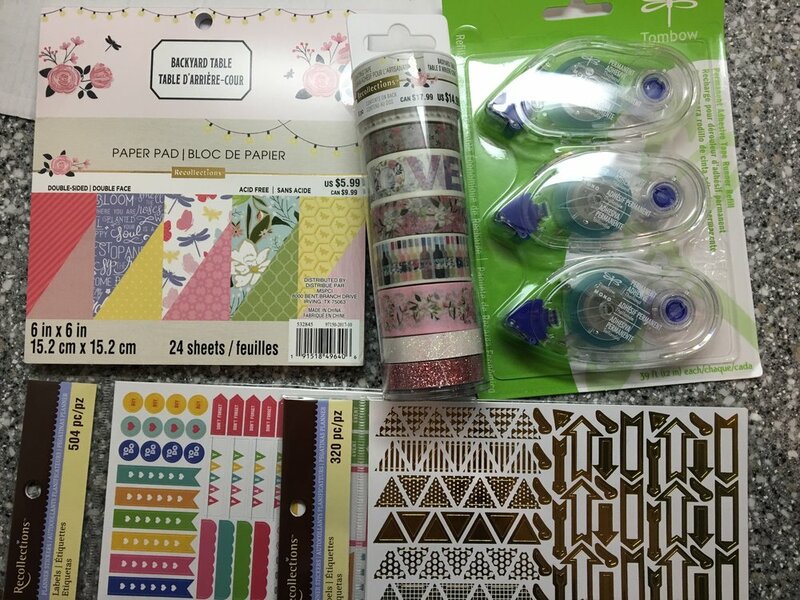 My March Stampin' Up order arrive with so many good products! I now have the entire Stampin' Blends collection to play with! Took advantage of a sale on Brianna Nicole Designz Etsy page. 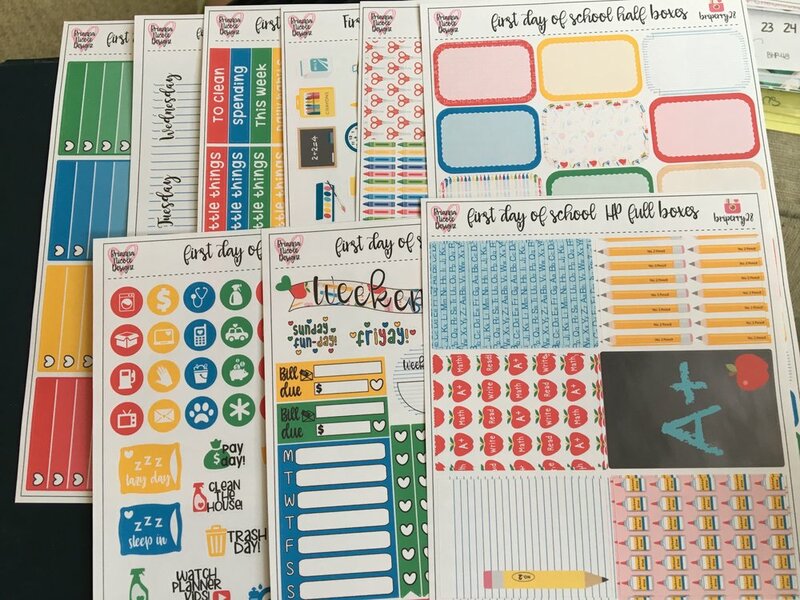 I snagged the First Day of School Kit (for Arthur first day in the fall), Magical Unicorns, Leftovers, TV checklists, IG icons, Rainbow Hearts Checklists, and Project Life Time stickers. I also took advantage of a sale on Charlotte's Paper Co. Etsy page. 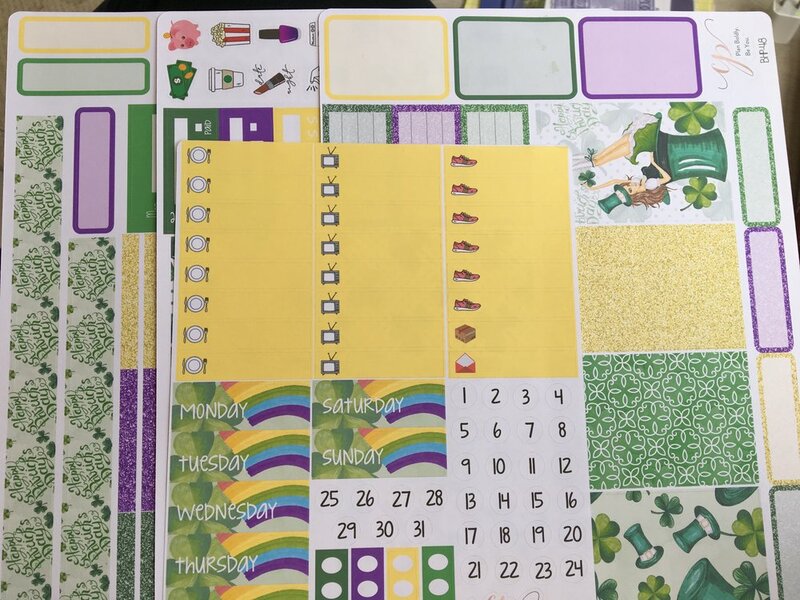 I bought the Easter sticker kit, Succulent sticker kit, Kate Summer Weekend kit, Blue Watercolor kit, and St. Patrick's Day kit.